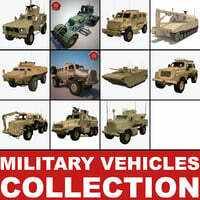 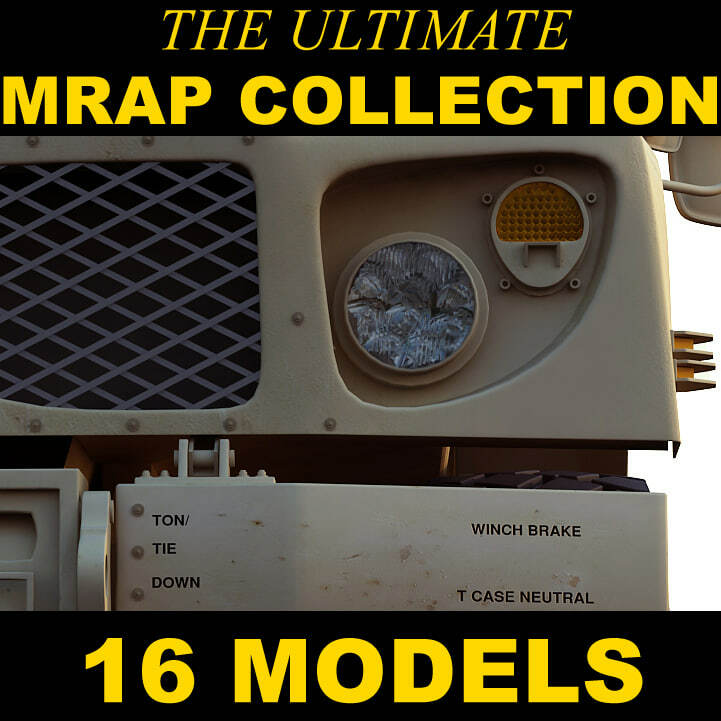 A collection consisting of 16 highly detailed military vehicles. 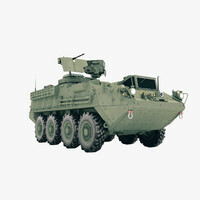 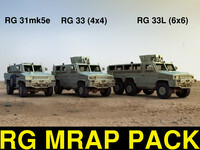 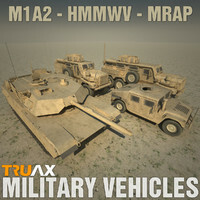 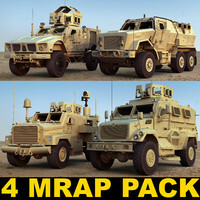 It includes 3d models of M-atv and variants, cougar h, cougar he, maxxpro, maxxpro dash, rg 33, rg 33L, rg 31mk5e, caiman 2 versions, buffalo, husky mine detection vehicle, and stryker M1126. 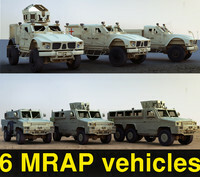 Each models comes with 2 versions of detail; a high detail version, suitable for the most extreme close-ups, and another version that is less heavy on the polygons, that is suitable for medium/far range renderings or even real-time applications. 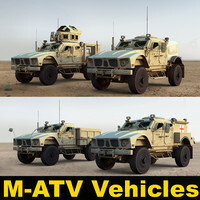 The high detail version of all the mrap models (except for the husky and the stryker), contains basic interior details and correctly pivoted doors, ready for animating. 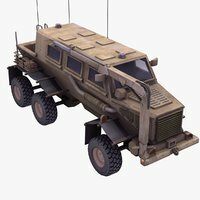 The models are available in max version 9, fbx and obj formats, but they can be converted for free, on request, to any format you may need. 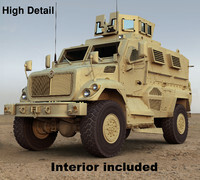 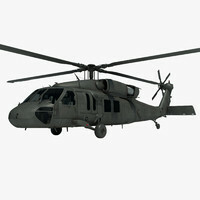 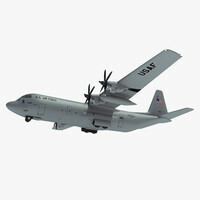 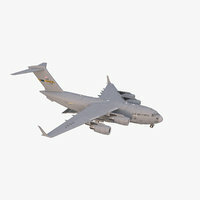 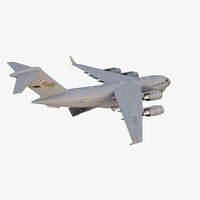 The max version comes with both standard and vray materials.